Frans van Mierisstraat 84 hs AMSTERDAM, Oud Zuid - Peter Bruin Makelaardij o.g. b.v.
Beautiful ground floor apartment of approx. 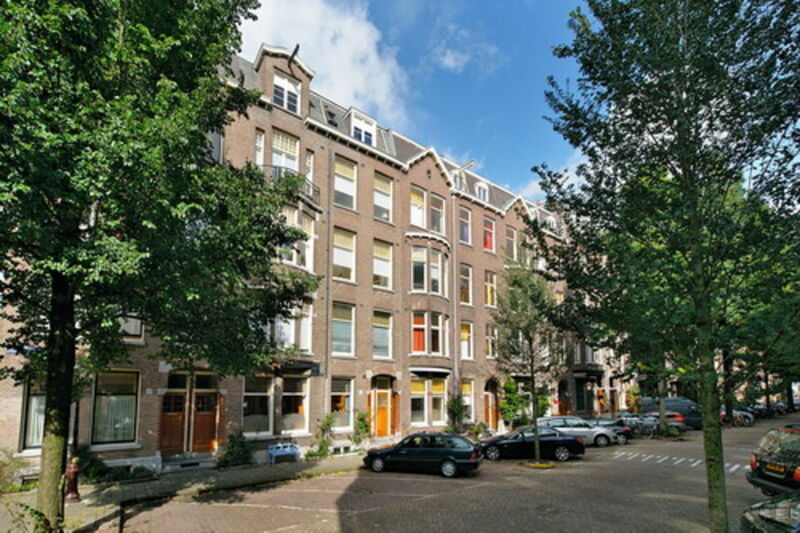 200m2 with landscaped garden in residential area near the Vondelpark, Concert Hall and exclusive Cornelis Schuytstraat with boutiques, shops and restaurants. Marble entrance with wardrobe and access to basement with storage. Spacious hall with guest toilet. Beautiful living room en suite with high ornamented ceiling, fire place and parquet floors. Sunroom with floor heating in the rear with access to landscaped garden. Fully equipped modern kitchen. Guest bedroom with hard wood floor. Landing, bathroom with bath, marble washbasin and cabinet with washer and dryer. Two master bedrooms with walkin closet and a guestroom. Nice semi-furnished family home at excellent location. Preferably for rent for expats, with owner`s prior consent.